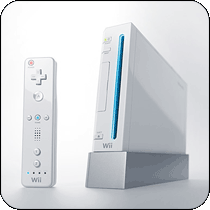 N. Featuring a compact design that makes the Nintendo Wii a natural addition to any television setup, the Wii console is white in color and can be displayed either vertically or horizontally. Find the best UK prices for the Nintendo Wii Console. Find out about available bundle offers. Also including details on controllers, accessories and a full library of Wii games. Choose a section below to find the best prices. The BBC's iPlayer video service will soon be available via the Nintendo Wii. Nintendo preempting GTAIV by shipping next installment in popular racer two days earlier. April sees the release of two major Wii titles across Europe, complete with dedicated Wii channels. 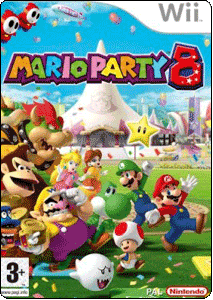 Mario Party 8 also includes dozens of new mini-games, six new party boards and many new game modes. Players can transform their characters into many forms, such as player-smashing boulders and coin-sucking vampires. Includes "extra-large" mini-games like Star Carnival Bowling and Table Menace. One to four players can play Mario Party 8, each with a Wii Remote. 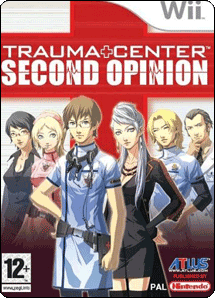 The original Trauma Center is already one of the most original and fun games on the Nintendo DS but although this is largely just a remake of that game it's more than welcome on the Wii. As accurate a simulation of real medicine as Phoenix Wright is of law (i.e. not very much) you'll nevertheless have great fun repairing hapless patients with ailments that start of as simple tumours to bizarre fights against evil terrorist nanobots. What really makes the game though is the simple intuitiveness of the controls, with the precise movement of your scalpel being one of the best endorsements of the Wii Remote's accuracy. The game's no push over though and you'll need to employ the mysterious bullet time style "healing touch" to make sure you don't end up the Doctor Death of Hope Hospital. Are you a logical or analytical thinker? Are you good at memorizing objects? Put your skills to the test and flex your brain the fun way with the ultimate fast paced multiplayer think-athon: Big Brain Academy for Wii. 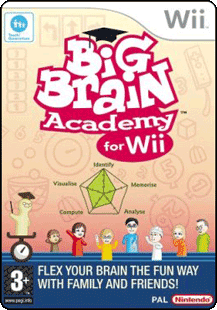 The follow up to Big Brain Academy for Nintendo DS, this Wii title contains all new mini-games and multiplayer modes allowing you to challenge family and friends from the comfort of your living room. You’re facing a long putt for par on the 17th hole with Tiger Woods clinging to a one stroke lead. You’ve been in this position before, but that doesn’t matter now. Or does it? 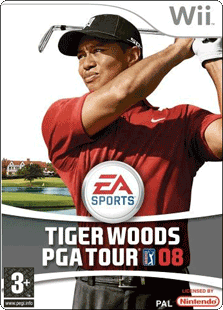 Whether you play it safe or go for broke, Play with Confidence in Tiger Woods PGA TOUR® 08. The all-new Shot Confidence feature uses factors from your previous rounds—including club selection, lie, hole, and more—to determine your confidence heading into each shot. Play with the confidence of a pro as you battle the best golfers from the PGA TOUR and LPGA Tour on the most courses ever in your quest for the coveted FedEx Cup Championship. Confidence Is a Factor—The all-new Shot Confidence feature uses factors from your previous rounds—including club selection, lie, hole, and more—to determine your confidence heading into each shot. Stay Cool Under Pressure—Four new taunting mechanisms allow players to throw each other off their game. Will you choke and miss the eagle putt, or sink it and seal the victory? PGA TOUR Mode—Build a golfer from the ground up in the most in-depth Career mode ever. Go from an inexperienced rookie to a crafty TOUR veteran on your way to becoming the world’s most dominant golfer. FedEx Cup Playoff Courses—Experience the all-new FedEx Cup championship format by playing a dream round at Westchester Country Club, TPC Boston, Cog Hill, and East Lake. Take on the Most PGA TOUR and LPGA Tour Pros—Featuring the greatest PGA TOUR and LPGA Tour pros, including Tiger Woods, John Daly, and Vijay Singh, plus Annika Sorenstam, Natalie Gulbis, Christie Kerr, and Morgan Pressel.